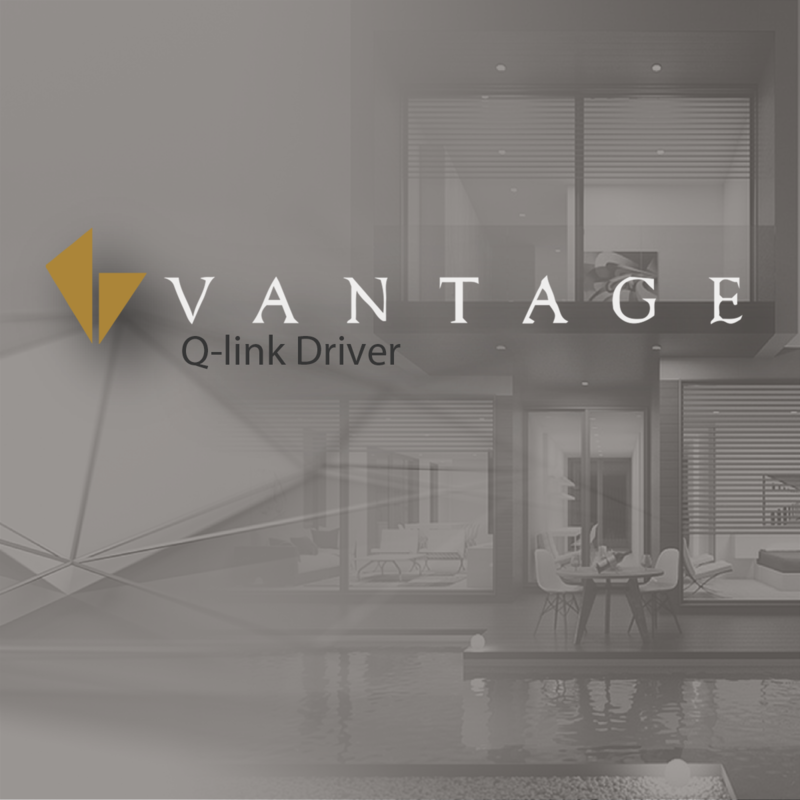 Vantage has sold thousands of Qlink lighting solutions in the past. Up until now, a Control4 dealer hasn't been able to integrate with this lighting system. This required the customer to extensively upgrade their lighting system just so Control4 would control it. Well not anymore! This driver is a RS232 driver that provides full 2 way feedback of Lights, Enclosure Modules, Dimmers, Low-Voltage Relay stations and scene point modules. By integrating these devices into the existing Control4 software, a customer is given almost the same features that a typical Control4 system can provide in the home without the need to upgrade the Vantage system. In addition, Cinegration worked with Vantage programmers and found a way for a dealer to program the Control4 system without the need to 'know' how Vantage 'works'! Driver provided by Cinegration LLC. Vantage, the lighting company has sold thousands of QLink lighting solutions in the past. Up until now, a Control4 dealers has not had a resource to integrate this lighting system. This required the customer to extensively upgrade their lighting system just so Control4 would control it. Well not any-more! This driver is a RS232 driver that provides full 2 way feedback of Lights, Enclosure Modules, Dimmers, Low-Voltage Relay stations and scene point modules. By integrating these devices into the existing Control4 software, a customer is given almost the same features that a typical Control4 system can in the home without the need to update the Vantage. In addition, Cinegration worked with existing Vantage programmers and found a way for a dealer to program the Control4 system without the need to 'know' how Vantage 'works'! We recognise that it may not be easy to test this driver in the office as the Vantage QLink system may well be on your customer’s site. However it is really important that you are not trying to install this on the Friday afternoon before the property is supposed to be handed over. Your first installation may take a little longer than you expect! It is recommended that you know how Vantage works before you integrate it into Control4. Integrating Vantage requires the knowledge of Enclosure and station load addresses and while some of it can be found via simple logic, some (station load's specifically) require knowledge of the Vantage program. Control4 and Vantage require a RS232 cable to be connected between the two systems. While there is a RS232 port on the front of the controller, Vantage recommends you using the spot located behind the main panel. If possible, connect to Port - A (the screw down terminals located on the back of the main processor. ▪ Note: you will need to modify the front enclosure panel to allow the door to close. ◦ Each address must be assigned in this manner for the program to work. ñ Control4 uses relay proxies that allow customers to visually 'see' certain motors in the home via the Control4 interface. These include, fireplaces, fans, fountains, Motors, Heat tape etc... The point of entering the address of the low-voltage station load here is that the dealer can create this mapped point in the Control4 program. ◦ Upon entering an address, the driver will ask the Qlink systemwhat the loads current status is. If a reply is received Driver Information will update to reflect. Once this is done the driver should be ready for deployment. CMD (this is a custom Vcommand for Vantage. Basically a direct input string to send vantage commands). a. Enter the Address of the station (X-X-X). This driver contains code written by Cinegration. Any modification to this driver or any driver written by Cinegration without the express consent will void all warranties, constitute a ban on all drivers released by Cinegration and potentially legal action. Fixed issue with light addresses not persisting across reboots.